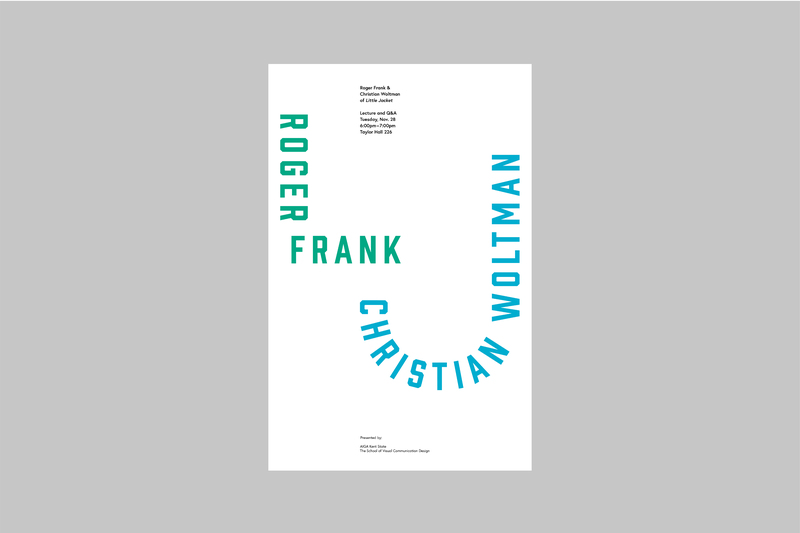 Poster advertising an AIGA Kent event with Roger Frank and Christian Woltman, heads of Cleveland based design studio, Little Jacket. Roger, Christian, and the folks at Little Jacket are awesome, by the way. Shoutout to Cleveland.